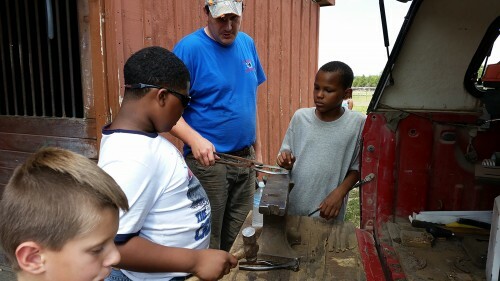 Kids in the Detroit Horse Power program learning about farrier work. Sidelines: What is Detroit Horse Power and what inspired you to create a nonprofit. David Silver: Detroit Horse Power is a nonprofit that I started to gives kids in Detroit greater opportunities through learning to ride and care for horses. I moved to Detroit in 2012 to teach elementary school and after two years in the classroom, I reflected on the many challenges my students faced. My time [in college] away from horses also allowed me to process what riding had meant to my growth — the confidence, responsibility, determination, leadership and many other important traits I had developed. Kids in the city grow up without the same opportunities I had in my youth, and Detroit Horse Power’s mission is to give children those powerful experiences to set them up for future success. 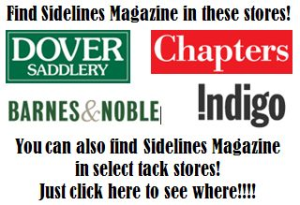 Sidelines: What drove you to get your H-A rating in Pony Club? DS: I was driven to take my H-A rating (which I’m very proud to say I passed in July 2015!) because it aligns with my professional goals. Detroit Horse Power’s long-term vision is to repurpose a large parcel of vacant land in Detroit to create a new urban equestrian center. This barn will serve as the home for my nonprofit and also offer boarding and other equestrian services to the metro Detroit equestrian community. The H-A rating is such a widely respected credential and the standards — facility design, teaching, diseases, nutrition, land conservation, etc. — are all important knowledge that will serve me well as a professional who’s responsible for other people’s horses as well as my own. 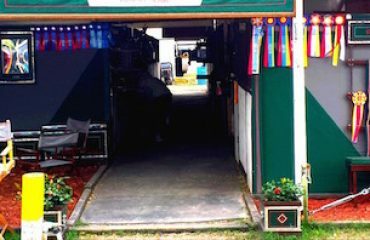 Sidelines: Where do you host your classes for Detroit Horse Power and how often? DS: Detroit Horse Power launched in June 2015 with our first pilot program using an existing facility on the outskirts of Detroit. 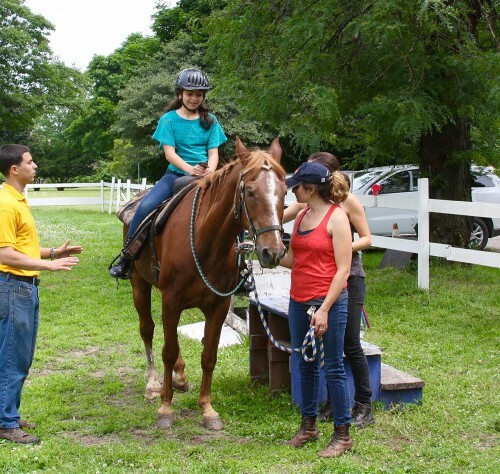 At that camp, we taught seven girls from the city how to ride and take care of horses. We also had guest speakers from different equine professions and crafts to give the girls keepsakes they can hold on to and remember their experiences. 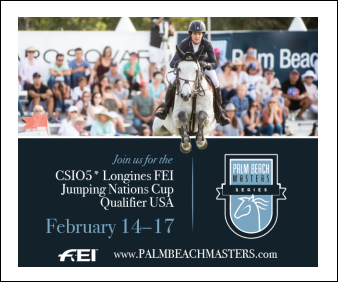 The program would not have been possible without our wonderful partners and volunteers, including many Pony Club members from the Great Lakes Region. August brought our second pilot program, working with 12 of my former students from the school that I used to teach at. David working with a student. 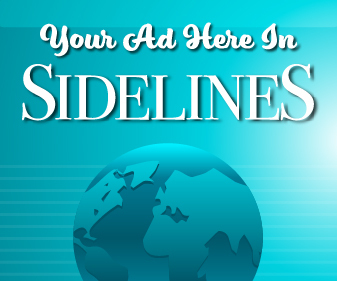 Sidelines: What students take part in the program? DS: Participants in Detroit Horse Power’s programming currently come from partnerships with different community groups, including Alternatives For Girls and Burns Elementary/Middle School. As a new organization, it’s important to learn from and support good work already taking place in the community. I love the chance to talk with folks and explain why I’m passionate about what horses can offer Detroit’s youth, and the results have been overwhelmingly positive. Sidelines: How has Pony Club influenced your ideas on the curriculum for Detroit Horse Power? DS: The Pony Club model of riding and horsemanship is central to Detroit Horse Power’s current programming. I know first-hand the powerful lessons these experiences have offered me and, given my background, this material is extremely comfortable for me to impart. Going forward, I’m excited to expand our curriculum into fields that I think hold great promise for the needs of Detroit’s children, including equine-assisted learning and trauma-informed equine therapy. Sidelines: What are your long-term goals for Detroit Horsepower? DS: Our long-term goals are to gain approval from City Council for a new horse barn in Detroit and to raise the funds needed to acquire land and construct the facility. I’m excited to broaden the use of this facility to meet the needs of children in the local community as well as metro Detroit horse owners. Over time, programming will hopefully expand to serve other populations in need, including children and adults with disabilities and veterans. David teaching during the first week of camp. Sidelines: What do you feel is the most rewarding part of your project? DS: Getting to share the unique power of horses with Detroit’s children. Whether it’s watching a child’s face light up when they feed a horse a carrot or celebrating the progress they’ve made after a successful riding lesson, there’s so much children can learn from being around horses. 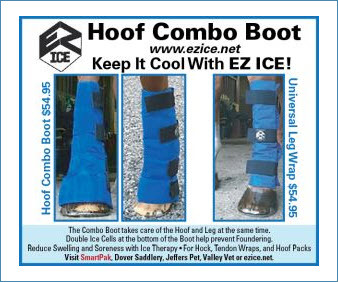 For those of us who’ve had the privilege of being around horses our whole lives, we know these benefits intuitively. Getting to share them with kids in the city who otherwise never would’ve had these chances is the reason I’m passionately engaged in this work. Sidelines: What’s the biggest challenge you face? DS: The biggest challenge Detroit Horse Power faces is successfully integrating horses into an urban environment. Detroit needs to be open to creative solutions that repurpose its vacant land, but elected officials are rightly being cautious about how to open these doors without creating a nuisance for neighbors or causing other problems for the city. I’m confident that we’ll be able to get approved for a new horse barn that contributes to a stronger Detroit by explaining the benefits horses can offer and how to appropriately include them. In part by adapting Pony Club standards, I’ve developed an urban horse care best practices report to share with policymakers. It’s also important to learn from other U.S. cities, including Philadelphia, Los Angeles and Seattle, that have successfully welcomed horses into their urban environments. Detroit’s City Council plans to consider a new urban livestock ordinance in the coming months. Sidelines: How has being in Pony Club helped you achieve your goals in creating Detroit Horse Power? 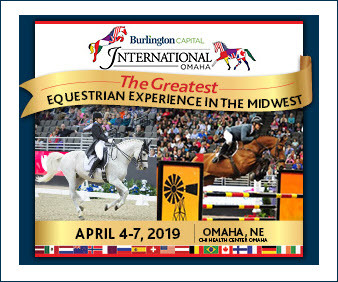 DS: Pony Club has been a terrific way for me to connect with great horse people in a new state, attain a rigorous and widely recognized credential and have a network of resources that can help Detroit Horse Power reach its long-term goals. 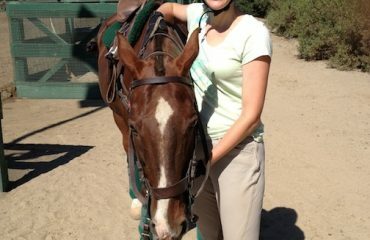 To stay in touch with Detroit Horse Power’s progress, go to www.facebook.com/dethorsepower. About the writer: Mandy Alexander is the marketing and instruction coordinator at United States Pony Clubs, Inc. She’s in charge of Shop Pony Club, as well as writing for “The Pony Club Pizza,” a blog that teaches about all of the disciplines Pony Club offers.